For almost 100 years, car makers have combined leather and chrome in the interiors of cars to give the look and feel of luxury. Recently, however, some car makers have stopped using chrome in an effort to save money. Instead of the chrome dials and features that people used to expect, many cars now have cheaper plastic accessories in their vehicles instead. It is possible to change the look of your car’s interior by adding chrome features. Technological advances now let you add chrome to almost any type of surface, including plastic. 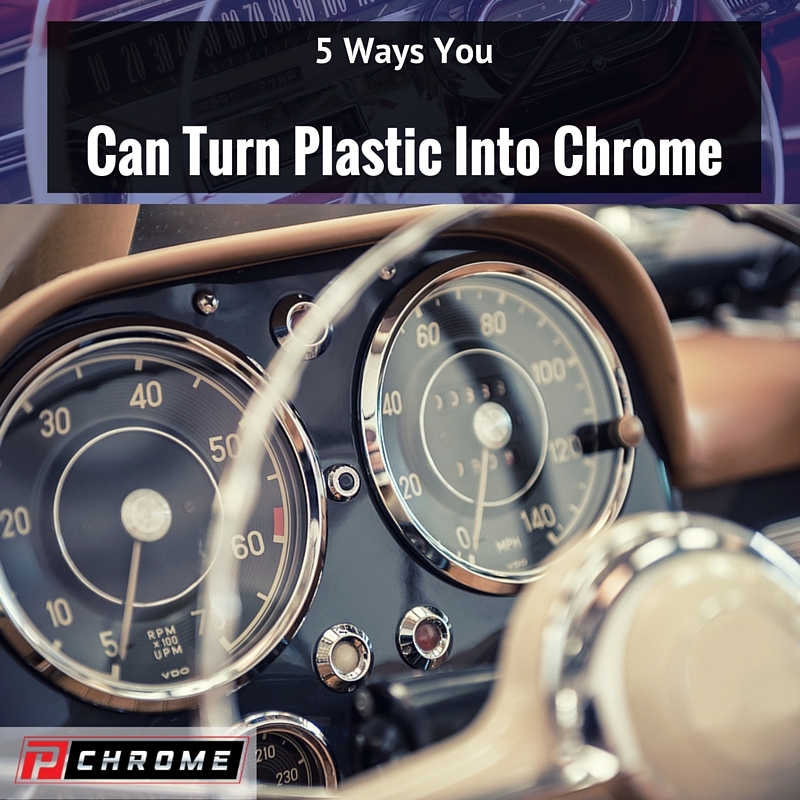 Here is an explanation of five different ways you can transform bland plastic parts into chrome. Like metal, plastic can also be chrome plated. For this method, you’ll have to send off the plastic parts you want to add chrome to for plating. The plating company will coat your part in layers of nickel and copper before it then applies the chrome. This process can only be used with rigid plastic parts since flexible plastic may erupt in stress fractures during the process. 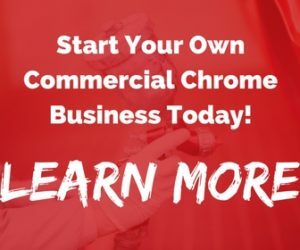 Another disadvantage is that traditional chrome plating requires more time and is more expensive than other options you have. Commonly used in the manufacture of flashlight reflectors, vacuum metalizing is another way you can transform your plastic pieces into chrome-coated ones. With this method, your plastic parts have a base coat applied to them and then are exposed to a vapor cloud that is made out of aluminum. The vapor cloud bonds to the plastic part’s surface, leaving behind a shine that is similar to chrome in appearance. A drawback to this option is the time and expense involved in sending your part off, greatly extending the time it takes you to complete your vehicle’s transformation. A cheap option is to use chrome spray paint. You can do this at home in your garage or at work in your shop, which is one advantage. A disadvantage of using chrome paint for plastic is that it appears more like silver spray paint than a true chrome finish. If you are not careful, it is also easy for the base coat to show through. Chrome film is available in stretch and non-stretch varieties. These are films with adhesive backing. The stretch varieties allow you to wrap the film around curved areas. The non-stretch varieties can only be used on surfaces that are flat. An obvious drawback of using chrome film for your vehicle’s interior features is that it is very easy to get wrinkles in it. As a type of laminate, chrome film is also easy to tear, gouge or scratch, and it will not have the same strength and feel of true chrome. PChrome is a spray on chrome for plastic that provides the same terrific look and strength of traditional chrome plating. It can be applied in your garage or in your shop, and it has the same high-gleam polish and feel that people expect from chrome. Highly versatile, it can be used for a part of any size, and it bonds well to almost anything imaginable. It comes in several different popular shades, including blue, red, gold and silver. Of the various options for transforming plastic into chrome, spray chrome is probably the best one. Because of its ability to be applied on site, it allows you to save time. It also is affordable, costing only around 25 percent of the cost of traditional chrome plating. While you won’t really be changing plastic into chrome, you can change the cheap look of plastic parts and give them a high-end chrome finish. In order to choose the best spray chrome kit for your particular project, you’ll want to purchase one that is appropriate for your needs. 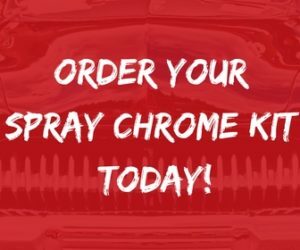 If you are a do-it-yourself enthusiast, the 25 and the 50 spray chrome kits from PChrome are meant for you. If you are a shop owner, you’ll likely want to purchase a larger kit that can be used to restore multiple cars. Go ahead and order the kit that is right for you and your needs today on our website.